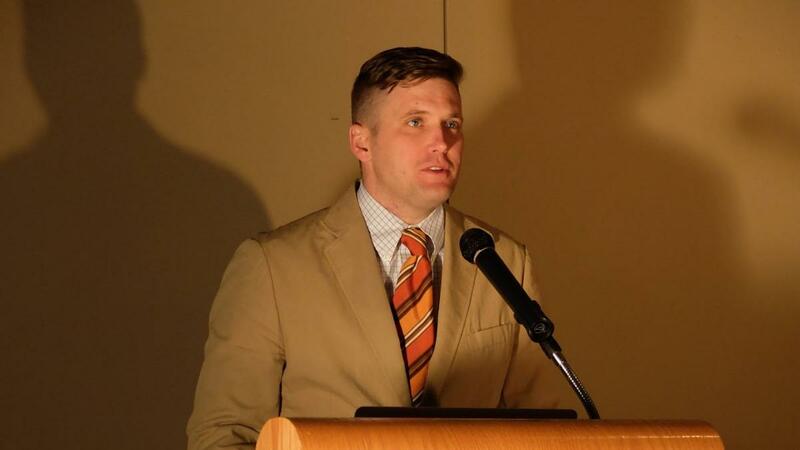 Following the white supremacist violence in Virginia this week, far-right social media superstars began disavowing and smearing Alt-Right leader Richard Spencer as part of a reignited attempt to sanitize their prior relationships to the white nationalist Alt-Right. Spencer, the self-described father of the Alt-Right, was scheduled to be a speaker at Saturday’s “Unite the Right” rally in Charlottesville, Virginia, before the rally devolved into violence, culminating in a car attack that killed a counter-protester. 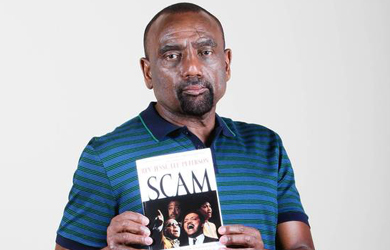 Since then, Spencer has sought to be at the center of news accounts of the events, including holding a press conference at his home to praise President Trump’s defense of the white supremacist protesters. 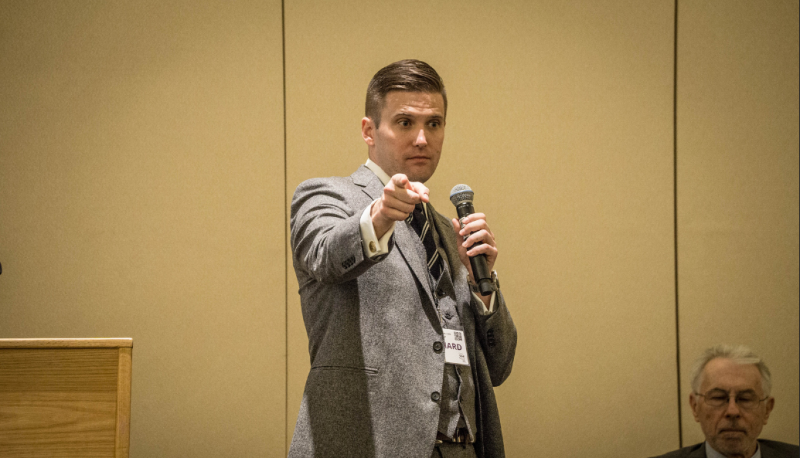 Spencer first began to be seen as toxic by the movement he helped to launch after journalists filmed him giving a Nazi salute and making the declaration “Hail Trump” at a post-election event. 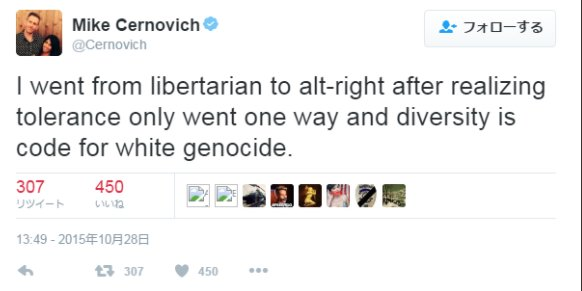 Since that moment, many online social media personalities who achieved fame by pandering to the Alt-Right and its followers have attempted to distance themselves from Spencer and claim that they are part of the “New Right” rather than the Alt-Right—attempting to hide the fact that they achieved fame by effectively acting as spokespeople for the Alt-Right’s signature ideologies. In the wake of the events in Charlottesville, these figures have been renewing their attempts to distance themselves from the Alt-Right and Spencer. Beyond the so-called “New Right” media personalities, other figures who had been sympathetic to the Alt-Right in its formative years have disavowed Spencer as they claim they should not be labeled Alt-Right. Ezra Levant, owner of The Rebel Media, condemned Spencer and the “far-right political movement” as “not conservative” in a staff memo this month, despite the outlet’s reputation as an international platform for Far-Right and Alt-Right figures and its prior defenses of the Alt-Right. And perhaps the highest-profile media provocateur associated with the Alt-Right, Milo Yiannopoulos, claimed in a “Breitbart News Radio” interview on Monday that Spencer and other protesters at the Unite the Right rally were “from the wacky, fringe, white supremacist right” and “really don’t have many supporters in America at all,” despite having previously praised Spencer as one of the “intellectuals” of the Alt-Right movement. The seemingly synchronized condemnation of Spencer is only happening now as “formerly” Alt-Right media figures realize that it has become increasingly toxic to be identified as members of the Alt-Right, especially in the aftermath of violent events at the Unite the Right rally. It’s easy for these figures to condemn Spencer, given his loss of influence over the Alt-Right movement as it exists today. The Alt-Right has grown beyond Spencer, and if far-right media figures think they can save face by disavowing an Alt-Right has-been, they will.